One little word for 2013. That is what I have been reflecting on over the past few weeks. 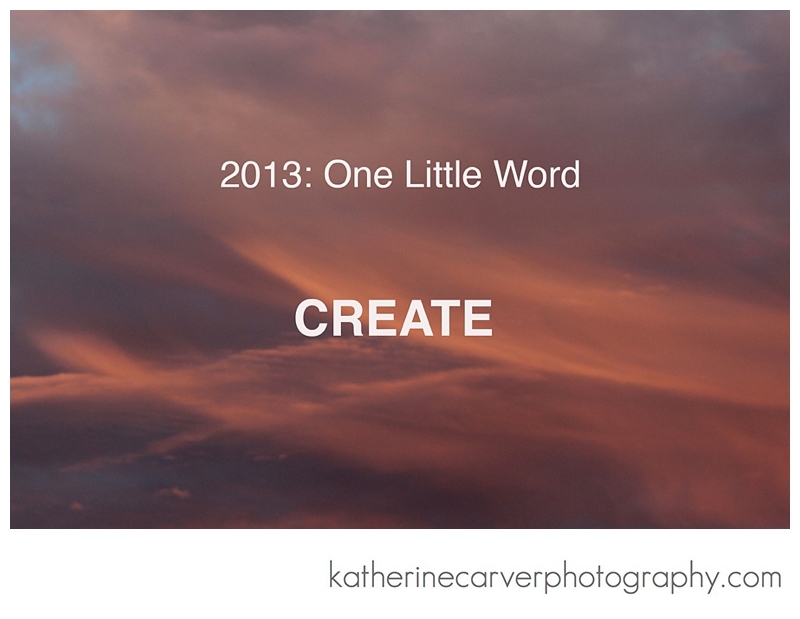 My one little word for the year, 2013, is Create. Create and be open to new possibilities. Create a place for peace and refuge in our forthcoming home. 1. to cause to come into being, as something unique that would not naturally evolve or that is not made by ordinary processes. 2. to evolve from one’s own thought or imagination, as a work of art or an invention. I really like this one little word concept. The idea behind the one little word concept is to give yourself something to focus on throughout the year. A single word can be a powerful thing. It can be the ripple in the pond that changes everything. It can be sharp and biting or rich, soft, and slow. My one little word this year is create. What do you do with this one little word? You live with it. You invite it into you life. You let it speak to you. You might even follow where it leads. There are so many possibilities. This is the first year that I have selected one little word after reading about this concept. After reading about this concept, the word, “create” immediately came to mind, and I decided that this would be my word this year. I have written yearly goals in the past, and I still have written down my goals for this year, but I thought that I would try this approach and see where it leads, keeping the intention to create. Also, if you are interested, check out this hand stamped jewelry by Lisa Leonard highlighting the one word concept! What is your “one little word” for 2013? What do you want to accomplish or focus on in the coming year? I challenge you to create something, anything that will help you focus on your word in the coming year. I love this concept 🙂 It boils down the essence of the mantra or personal statement.